When considering fitting new doors and door frames, getting the sizes right is crucial. In the UK, there are standard size doors, but there are also doors that come in a range of shapes, sizes, styles and colours. Getting these options right is essential, but it is also important to have the correct door frame in place, and this can often be disregarded. 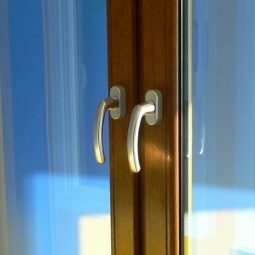 Door frames are technically used alongside external doors, whilst casings and linings being the terms used for the frames around internal doors, but often the phrase “door frame” is used interchangeably. Door frames are the key component from which a door is hung. 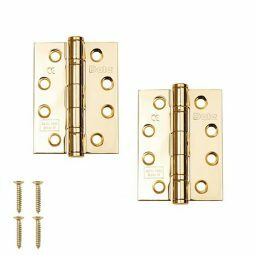 They are fitted within the doorway, and as well as having a practical use, they helps to enhance the door, creating the finishing touches to the room and the door. Therefore finding the correct size door frame is crucial, so what are standard door frame sizes and how do you find the right size door frame for your project? 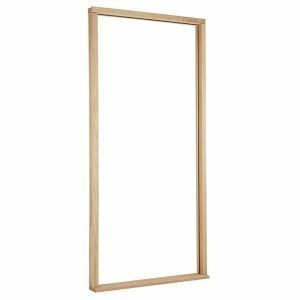 What are the standard door frame sizes? Unfortunately, there is no hard and fast rule on standard door frame sizes in the UK. The most common door frame widths are 762mm, as they can accommodate the most regularly sized door. However, the door frame size you require depends on the opening within the wall, which can vary from building to building, meaning there is no standard door frame size. The best way to find out the size of the frame you require is to ask your builder or fitter about the opening size. If you already have a door that you are replacing, a simple way to find out the rough opening size is to measure the existing door, then add 2” to the width of the door, and 2.5” to the height of the door. For example, if your door is a standard 24” wide and 78” high, the rough opening size would be 26” by 80.5”. Don’t worry if you’re having trouble working out what size door frame you need, there is a solution! You can purchase universal door frames, which will accommodate any single door size typically up to 36” by 84”. 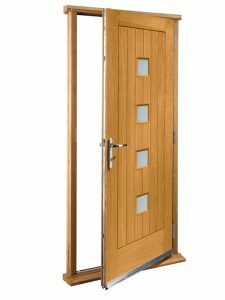 A range of door sizes can be used in conjunction with the universal frame, because the height and width are adjustable. Additionally, universal frames can accommodate both inward and outward opening doors, simply install it in reverse if needed. 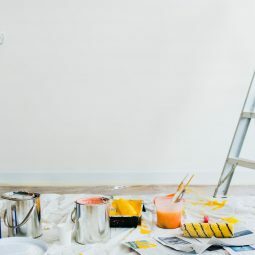 Once you’ve chosen the most suitable frame for your project, take a look at our guide on how to paint a door frame, to ensure you create the perfect finish. If you have any questions or queries on door frames, doors or anything else, feel free to call our team on 01752 422501 or use the live chat and they will be more than happy to help.